In his 50-year career, the Romanian artist revolutionized the form and vernacular of sculpture through severe abstraction (as in the graceful “Bird in Space” from 1928) and an emphasis on the natural properties of his materials (bronze, marble, oak). His transformative effect on the medium is noted in this compact presentation of 11 of his sculptures, and a selection of his drawings and photographs. 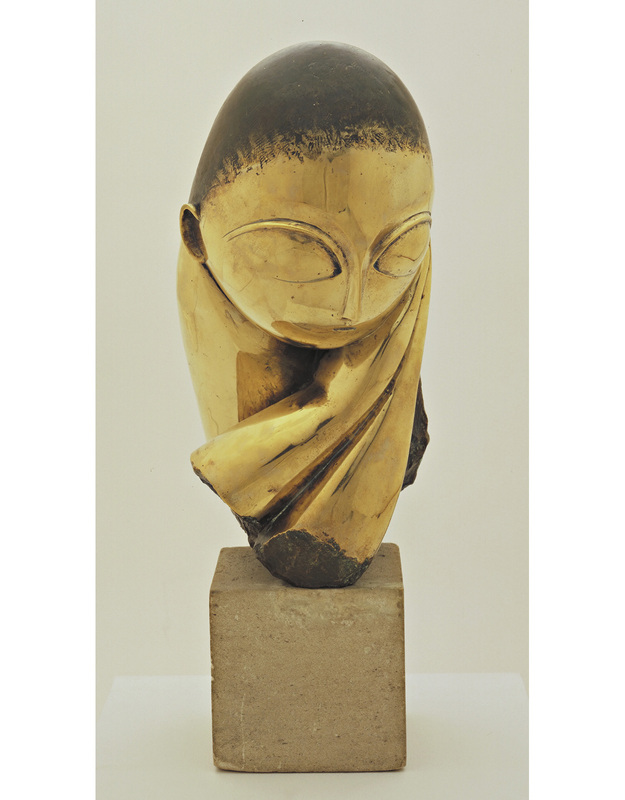 Constantin Brancusi, “Mlle Pogany. version I” (1913, after a marble of 1912). Photo: Imaging and Visual Resources Department, MoMA.